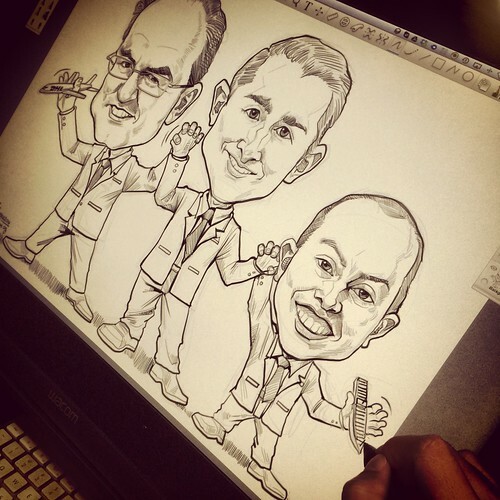 ".....request for a caricature of 3 characters holding hands together and here are the 3 photos. 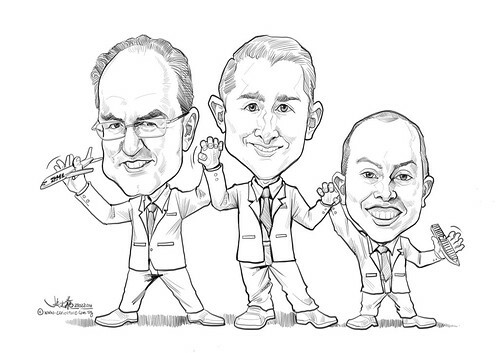 You can draw them in suit and Tim should be in the middle, while David will be a smaller figure ......the guy on left holding up a plane on one hand and the guy on right holding up a vessel/ship on the other hand (as they are in charge of Air Freight and Ocean Freight. (Just like kid holding a plane on his hand)."